Looking for that perfect soup to warm you up on a cold night and cure those winter blues? There is not a better combination then Vermont Maple Syrup and Butternut Squash. This soup recipe comes courtesy of the Echo Lake Inn in Ludlow, VT. 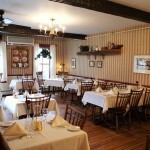 The restaurant has been featured in both Gourmet and Bon Appetit magazines. Grab your bowl and ladle up some soup with a nice piece of crusty bread! For more information on the following events and more visit Vermont.com Calendar of Events Page. This entry was posted in Food, Now Trending on March 17, 2016 by Linda Cassella. 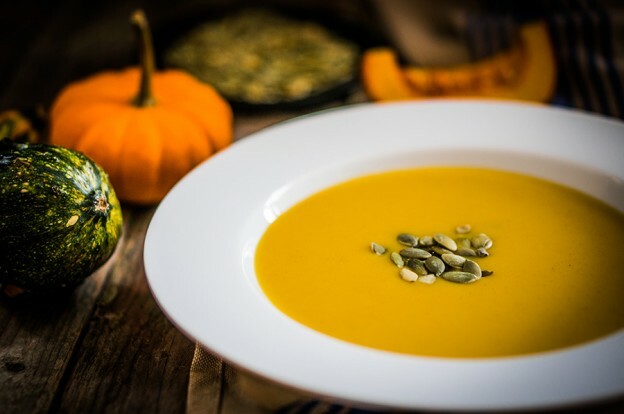 Warm Up with These Unique and Delicious Vermont Soups Katie’s Cream of Celeriac Soup Last Minute Recipes for a Vermont Thanksgiving Baked Acorn Squash w/Vermont Maple Syrup YUM!